﻿ Access Inn Pattaya (Thailand) | FROM $25 - SAVE ON AGODA! "Awesome modern hotel with glass elevator, modern rooms, frie..."
Have a question for Access Inn Pattaya? "Rooms are clean and comfortable especially the beds"
"Clean room , excellent western and Thai food ." "Stayed here 3 times now, its in a quiet location just 2 mins walk away from soi buakhow and 5 mins from LK Metro." "Great European hotel in great location ." 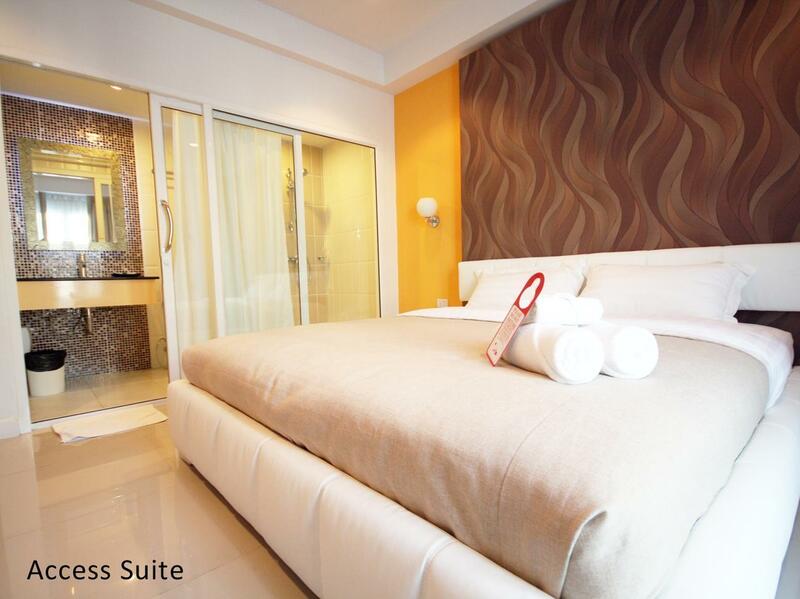 You'll enjoy every moment of your visit when you reserve a room at the Access Inn Pattaya for your stay. The rooms here overlook the city, so you can peer out at the beautiful, shimmering city lights. The hotel is close to Tony's Gym, International Gym, Golden Gym, Kiattikhun Thai Massage School, and K Driving School. It has numerous convenient features, such as a selection of shops, a currency exchange, a smoking area, as well as safety deposit boxes. With tours available, it is the perfect place to stay to learn about your surroundings and see everything you can while you're here. Located at an awesome spot for scuba diving, it is great for guests wanting to spend their time exploring all the aquatic life in the area. The Access Inn Pattaya offers snorkeling, so guests can explore the aquatic life in the area. 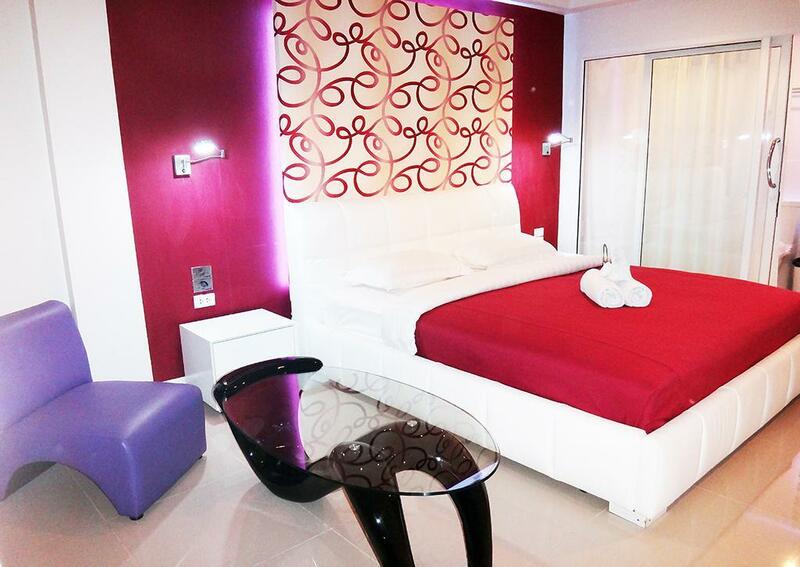 Featuring a golf course and a nightclub, it is fully equipped to ensure that your stay will be as enjoyable as can be. It offers a bar, restaurants on the property, a coffee shop, and room service, so there is a selection of dining and snacking choices. There's free Wi-Fi in all rooms, as well as Wi-Fi in common areas, so visitors won't have to worry about buying a local sim card. From a concierge to daily housekeeping, the Access Inn Pattaya provides a range of useful services for guests to utilize. All of the rooms come with air conditioning, a clothes dryer, towels, and a desk, as well as a refrigerator, a TV, a dressing room, a seating area, and more. The front desk is open around the clock, so there is always someone on call to answer any questions. The Access Inn Pattaya provides a range of transport options, such as airport transfers, shuttle services, and taxi services. Pattaya Railway Station is 3.0 km away and Bus Terminal is 3.1 km away. The nearest airports are Utapao International Airport (UTP) and Suvarnabhumi International Airport (BKK), which are located 29.5 km and 86.2 km away. The hotel offers check-in from 12:00 PM and check-out from 12:00 AM. It provides express, 24-hour, and private check in and check out, allowing you to conveniently use the option that best suits your schedule. "I really would like to recommend This hotel, the location is..."
Very friendly and helpful receptionist with a fantastic level of English. Was given free upgrade on arrival. Happy with rooms. All decent enough. Location perfect for Soi Buakhao, LK Metro etc. Nice and quiet despite being on 3rd road. I’d totally recommend this. Stayed here 3 times now, its in a quiet location just 2 mins walk away from soi buakhow and 5 mins from LK Metro. So location is perfect. 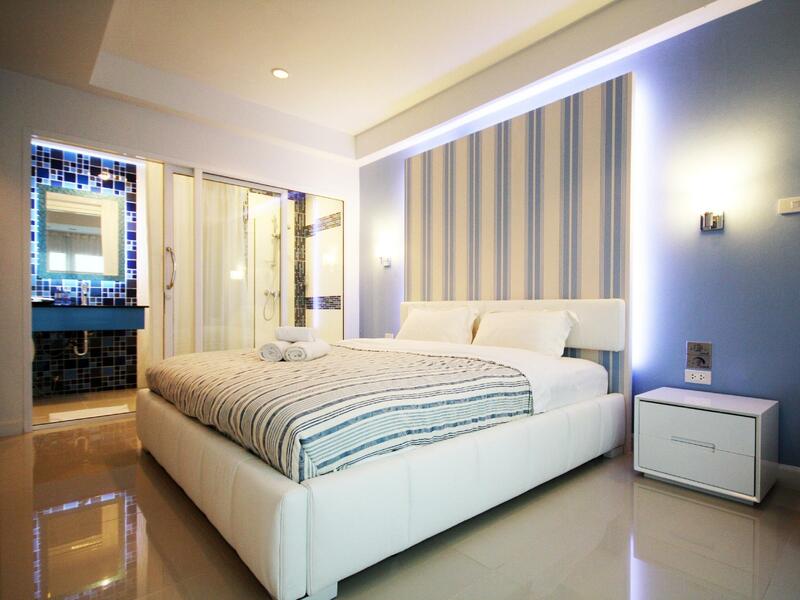 Rooms are great with modern feel and if like me you want a softer bed than normally you get in Pattaya this is the place. So comfortable. Staff are really hospitable and always smiling and say hello. The restaurant looks very nice and always busy but Ive never ate there. I wouldnt stay anywhere else and Ive tried many hotels in Pattaya!!! I really would like to recommend This hotel, the location is very convenient, the staff is very attentive and super friendly. Clean room , excellent western and Thai food . I will for sure go back there. 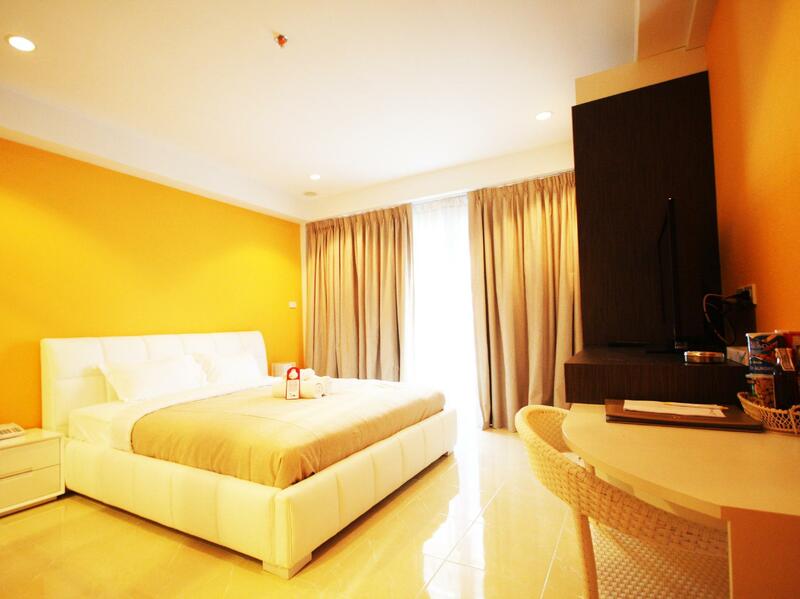 An excellent value hotel in Pattaya. Selected at last minute due to unexpected delays and previous hotel was full for the weekend. 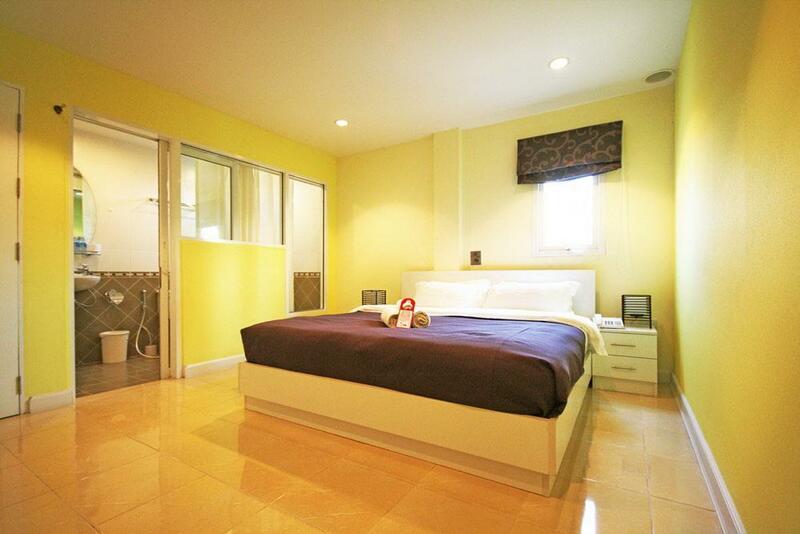 Good choice, fast check-in, clean room with very comfortable King bed. parking can be challenging as the huge parking area behind the hotel is 'reserved' for a nearby hotels tour buses. Finding a parking space on the road outside can be difficult at weekends. Great location quite area of town easy access to everywhere you could possible want to go, great facilities, only thing lacking was a pool. Clean rooms fair size soft lighting would say a little dated thou. Staff friendly and waiting to please to all your needs. Would I stay again. YES. I never ate here but the food I did see served look very good. The receptionists are the best so helpfull .room waa good bed was comfy short stroll to the bars lk metro . The room I was given on arrival was at the front of the hotel with only a small window but the road noise was such that I asked to move. The room I was moved too was at the side with “Access” to the coach park at the rear and no less noise from the main road at the front. Noise from other guests carried also. I was charged an extra 400b per night for the move because the room had a balcony making the total cost when added to what I had paid in advance nearly 1400b per night. I could have had much better with breakfast at many more places. The room it’s self was tired I found the internet slips they give you on arrival in the draws left by previous occupants. Overall the room needed a deep clean and some maintenance plus a new shower curtain or at least wash it. I slipped on the wet floor in the shower/toilet which was a bit unnerving as you are surrounded by glass. Well when you think you think of all the hotels in Pattaya and there too many to count I find this one absolutely brilliant the staff are fantastic the food on the menu superb,and the room clean with a great a bed. Just off Soi Lenkee on 3rd road, ideal 200metre's from Soi Buakhao and Soi Diana and then smack in the middle of the action couldn't wish for better. Will definitely book here again. When i book this room.. I didnt know it was underrenovation!!!! They still paintion the hallway.... The room wasnt entired cleaned. A/C isnt cold they should fix it. But we chose this cause it's cheap. But they really should have told us it under renovation!! Make sure u confirm them before you book. Lobby and restaruant area looked fine and modern. This hotel is on busy third road. Bathroom was smelling bad but staff refused to change room. Water in shower was cold. Floor in room was a bit dirty. Bar on first floor looked nice and had pool tables. But it was completely empty. Manager was not reachable when there was a problems and staff was unable to solve problems themselves. Awesome theme to it , staff were very friendly and helpful ! Not bad of a location close to train line and shops / restaurants! Lots of charm. Amazing staff. Nice restaurant. Comfy bed. Good wifi. Great price. On a very quiet side street near LK Metro.